Hip Hop music and fashion have not always been two concepts that would ordinarily seem to go hand in hand. However, recently, they seem to be intrinsically linked. Rap lyrics are increasingly influenced by discourses about the latest designer brands and labels. A$AP Rocky even dedicated an entire song to it – ‘Fashion Killa’ where the video sees him take Rihanna in what can only be guessed to be an eye-wateringly expensive shopping trip. The catwalk was littered with famous rappers and musicians including Young Thug and Nas, who performed throughout the show, rapper Desiigner and Fall Out Boy guitarist Pete Wentz. Links between high fashion and music are getting stronger and stronger by the season, but it seems to have only infiltrated in recent years. The fashion industry has been influenced in its design and production by rap and hip hop music. 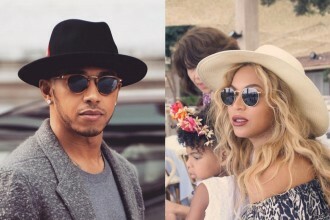 Some trace the birth of these partnerships back as early as the 2005 collaboration between Pharrell and Louis Vuitton which saw the creation of the ‘Millionaire’ range of sunglasses. This has since paved the way for other hip-hop musicians alike to form close relationships with some of fashion’s biggest brands including: Dior, Calvin Klein and Balmain. Joining forces means great things for both parties. Musicians are dressed well by huge labels, allowing them to push the boundaries of fashion and break stereotypes rather than create them. While fashion houses stay current by having young, fresh artists seen wearing their designs in places other than black tie red carpets. Hoodies and tracksuits which would not look out of place in a music video, are now being strewn across catwalks. High fashion houses are releasing lines of athleisure. Marc Jacob’s dedicated an entire fashion show in February to the New York Hip Hop culture scene. Notable collaborations in recent years include A$AP Rocky teaming up with Dior Homme as the frontman of their fashion campaigns, and Young Thug starring in Calvin Klein adverts. Not to forget the high-profile pairing between Kanye West and French design house Balmain. Thanks to the new and exciting directions the brand has been taken due to the youthful creative director Olivier Rousteing, the ‘Balmain Army’ now includes Kanye West (and the entire Kardashian clan). Youthful people in powerful positions within fashion is proving to be a positive thing when it comes to collaborations and the image of labels in the big picture. Alexander Wang’s 2015 ‘Do Something’ campaign featured The Weeknd, fashion favourite A$AP Rocky and Kendrick Lamar, showing how designers and brands are able to stay current by linking themselves with the ever-changing faces of hip hop. Dressing exciting young musicians as opposed to only seeing designer gowns on the red carpet introduces a level of attainability within luxury fashion, and proves that it isn’t just for stiff back, black tie events. The experiential and sometimes controversial nature of rap and hip hop adds a level of excitement to collaborations, meaning you never know what to expect, but it will be more interesting than the usual model draped on and in designer clothes and handbags. Young designers and young patrons alike are joining forces to bring the fun back into fashion. The looks are experimental and playful, and what better place to show off than in a music video? @lifeofdesiigner wears the Spring 2017 hot babe patch hoodie in white. Newcomers to the rap and fashion block include Lil Yachty, who was recently profiled by Vogue thanks to his ever-rising star status in music and fashion alike. He has collaborated with American brand ‘Nautica’ to design a capsule collection, even becoming their ‘Creative Designer.’ It seems the power is in the hands of these musicians who are now the new trendsetters. It becomes a badge of honor for the brand, rather than the other way round, to have the hottest young – and talented – faces wearing and styling their designs in unique ways and proving fashion isn’t just for A-list actresses. While all these musicians have different types of music, many share individual great sense of style, and many choose to top off their looks with a pair of – not always practical – sunglasses. 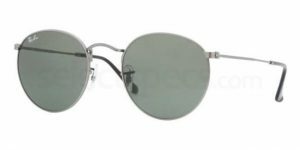 Channel Lil Yachty’s fun and carefree style with these retro style Ray-Ban Aviators. 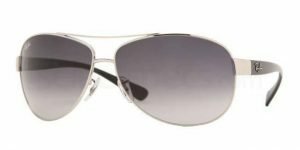 The light frame gives them a fashionable edge while retaining that classic aviator cool. Ty Dolla Sign exudes the classic Coachella style; a mix between fashion and practicality. You don’t want to enter the scorching desert without a hat and shades literally for your own protection. Ty’s retro round styles are a great shape and not to mention one which suits most face shapes. As one of the most in demand figures in the fashion-rap world and as Kendall Jenner’s rumored BF, A$AP undoubtedly has choices for days when it comes to his eyewear, just take a look at his Instagram to confirm this. These bright yellow frames are firmly cemented on the faces of fashionistas in every direction, and A$AP is no exception.